Remember fruity bubblegum from your childhood? Now imagine that in e-liquid form! Blended in-house at Vapouriz to a secret recipe, this Bubblegum e-liquid will tickle your tastebuds without the need to chew. 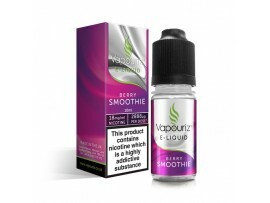 Bubblegum delivers a fruity punch whilst providing you with a satisfying vape.